The 2018 season is over for the Baltimore Ravens, and it is time to begin the yearly roster evaluation. This year, we will go through all 10 positional groups and evaluate the state of the group, and make recommendations on what the Ravens need to change this offseason. In today’s article, we will take a look at the offensive line corps. Here are the nine offensive linemen that were on the 2018 roster. 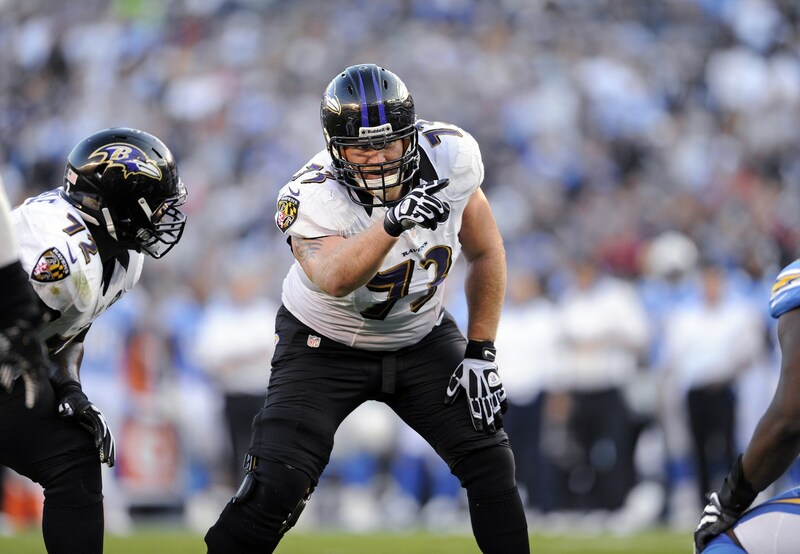 The Baltimore Ravens need to make several moves in the offseason to repair the offensive line. Baltimore’s offensive line is split into two sections. The outside of the line is bolstered down by two strong and young tackles, with depth at the position in James Hurst and Alex Lewis. Hurst and Lewis are versatile players that can play both at tackle and guard but are not elite caliber linemen, and Lewis is often injured. The Ravens must find a better left guard, and find a developmental guard to train to eventually replace Marshal Yanda on the right side. Baltimore must also address the situation at center. The Ravens may have enough confidence to give Matt Skura another year as the starter, but have to determine whether it is a risk the team is willing to take. Baltimore will not need to make any roster moves before free agency, as the team will eventually have 90 players on the roster. When it comes time to cut offensive linemen, expect the Ravens to part ways with Jermaine Eluemunor first. The Ravens will have plenty of cap space in 2019 and need to use the situation to build a strong offensive line. At the guard position, the Ravens should target Rodger Saffold of the Los Angeles Rams. Saffold ranked 7th at his position by Pro Football Focus, would be a quick fix for Baltimore’s problems at left guard. The Ravens will have to break the bank for him, though, as Saffold is open to giving Los Angeles a discount on his contract. The Ravens could offer the 30-year old a 4 year, $40 million contract and have a decent chance to lure him away. At the center position, the Ravens can attack Denver Bronco, Matt Paradis. Paradis is ranked second at the center position by Pro Football Focus and would be an excellent addition to the Ravens offense. However, Baltimore will have to give Paradis a huge payday, and the team needs to decide whether a cheaper option in Matt Skura is a better value player than Paradis. Do the Ravens Need to Draft an Offensive Lineman? The Baltimore Ravens absolutely need to draft an offensive lineman. If the guard position is not addressed in free agency, the Ravens should consider drafting a guard in the early rounds. Cody Lindstrom of Boston College is currently projected to be a second or third round pick, and Cody Ford of Oklahoma is projected to be a first-round pick. Either player could see heavy interest from the Ravens. Baltimore could also target a center in the early rounds, like Ohio State’s Michael Jordan, or Texas A&M’s Elgton Jenkins.